I just received the coolest coffee mug ever! A mix af favorite brands: Louboutin & CND! 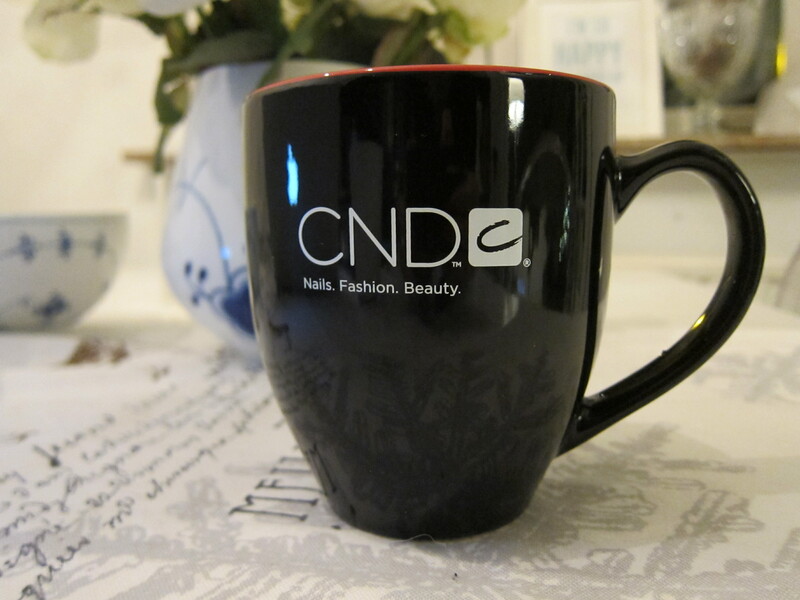 🙂 That’s creative – and yeah, you’d DEF have to be a CND Nerd to think this is cool – anyways I think I’ll stick to my beautiful Royal Copenhagen mugs instead, and spoil my clients with this one. 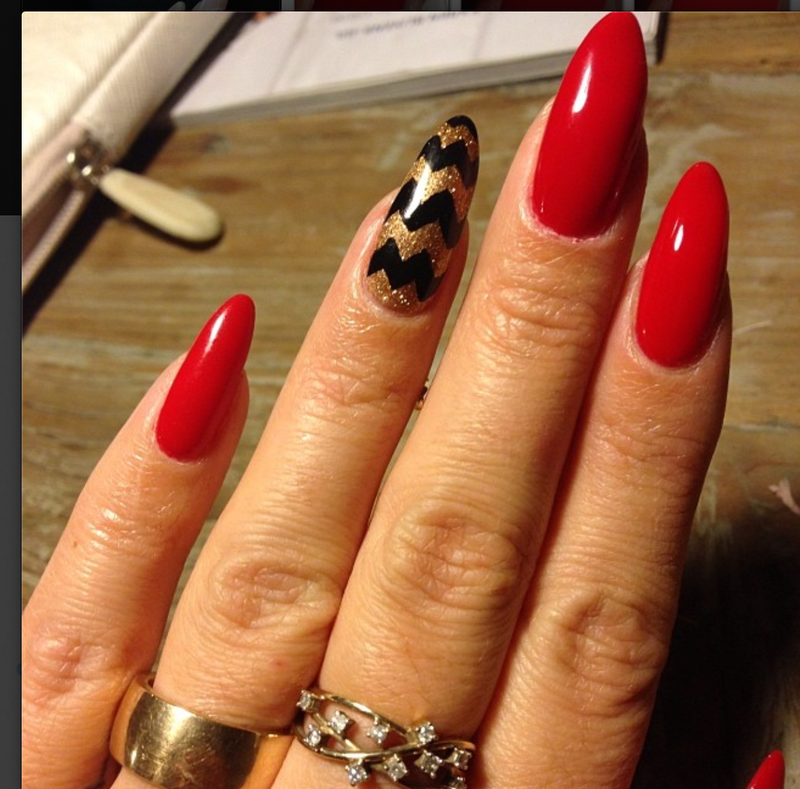 This is the first time I’ll be wearing long and red nails. 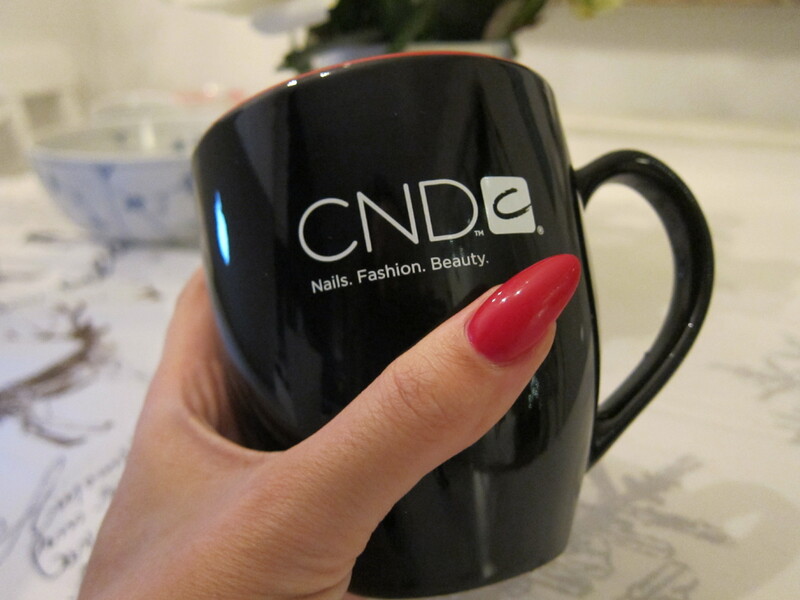 And I’m def’ loving it..
I’m wearing CND Shellac in color Wildfire, and a bit of details (simple to create) with one layer of CND Shellac Sugared Spice, layered with CND Shellac Tinsel Toast and handpainted the black with black Nail paint and the Master Detailer Brush.